PA Chairman, who also serves as Palestine Liberation Organization official, orders preparation of plans to ‘disengage’ from Israel. The Palestine Liberation Organization’s (PLO) top leadership on Saturday ordered preparations for disengagement from Israel. Withdrawing the PLO’s 1988 recognition would threaten decades of Israeli relations with the Palestinian leadership and raise doubts over ongoing security coordination between the two. It would also be seen as a fatal blow to the two-state solution, already on life support following the White House’s December recognition of Jerusalem as Israel’s capital. 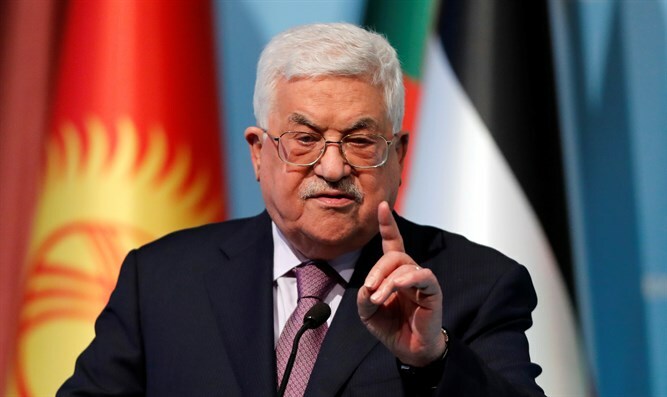 The PLO’s Executive Committee released a statement after a three-hour meeting Saturday saying it would set up a committee to study the derecognition move. The organization’s top body was meeting for the first time since the Palestinian Central Council, another arm of the PLO, called for the step last month. Last month the PLO’s Central Council voted to suspend recognition of Israel until it recognizes “Palestine” and halts the building of Jewish communities in Judea and Samaria. Western countries have been lobbying senior Palestinian officials to convince them not to take such a step, multiple diplomats said. This entry was posted on February 4, 2018 at 2:34 AM and is filed under Uncategorized. You can subscribe via RSS 2.0 feed to this post's comments. You can skip to the end and leave a response. Pinging is currently not allowed. This is not so bad, a reboot with the knowledge of the mistakes from the past . “President Abbas declared the landmark Oslo Peace Accords dead.